The English department provides instruction in writing and literature in traditional, blended, and online class settings. Our writing program includes two levels of integrated reading and writing courses, Academic Literacy (ACLT 052) and Advanced Academic Literacy (ACLT 053). ACLT 053 is part of our Accelerated Learning program (ALP). ALP is a co-requisite model for developmental writing and Academic Literacy that began as a faculty initiative in 2007. Also included are our college-level composition courses, ENGL 101 and 102, which fulfill CCBC’s general education requirements for graduation and transfer. We offer a transfer pattern in creative writing and courses in business communication and technical writing. Our literature courses include surveys of American, British, and Global Literature as well as several specialty courses, most of which meet general education and/or diversity requirements for graduation and transfer. 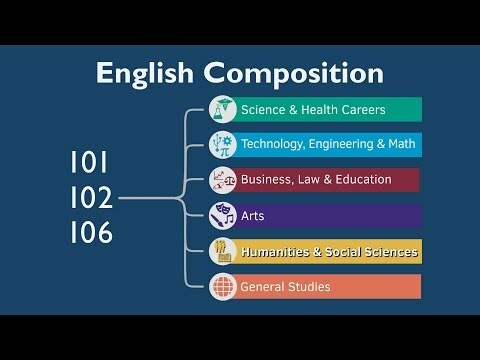 Informational video about themed/contextualized English Composition courses related to academic pathways at CCBC.